Despite that emotional appeal, Internal Revenue Service statistics indicate that only 3 percent of small businesses would be subject to the higher tax, and many studies of previous tax increases suggest that it would have minimal impact on hiring. According to the Joint Committee on Taxation, 97 percent of all businesses owners do not earn enough to be subject to the higher rates, which would be levied on income of over $200,000 for individuals and $250,000 for families. Large income tax cuts are followed by a bubble and then a crash. High income taxes correlate with economic growth. Income tax increases are followed by economic growth. 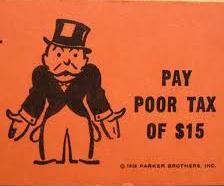 Moderate income tax cuts are followed by a flat economy. All this is especially true as applied to the top tax rates, the amount paid on income that exceeds the highest bracket. Increased the number of full-time-equivalent jobs by 2.0 million to 4.8 million compared with what would have occurred otherwise (see Table 1). (Increases in FTE jobs include shifts from part-time to full-time work or overtime and are thus generally larger than increases in the number of employed workers). That’s left Democrats in a worst-of-both-worlds situation: They’ve built a bill that Washington’s toughest scorekeeper says will cut the deficit by more than a trillion dollars over 20 years. They’re getting attacked for the taxes and Medicare reforms that save all that money. But the country doesn’t believe the savings are real. One of the problems Democrats have had is that it’s very easy to understand the one thing the bill does to spend money—purchase insurance for people who can’t afford it—and considerably harder to explain the many things it does to save money. Another is that a lot of the savings have to do with changing how medicine is practiced, which people are less familiar with than how insurance is purchased. You can capitalize it now: It’s the Great Recession. And it has cost the United States more jobs than any downturn since the Great Depression. The job losses were already big before the Labor Department revised its figures Friday. Now, they’re staggering: 8.4 million jobs have disappeared since the recession’s start in December 2007. Brown represents one of the more than 1.2 million households lost to the recession, according to a report issued this week by the Mortgage Bankers Association that looked at data between 2005 and 2008. That number doesn’t include information from 2009, when job losses and foreclosures continued to rise. So it’s likely that the full impact of the 8.4 million jobs lost and nearly three million homes foreclosed on since the recession began has taken an even bigger toll on the number of American households.